Today is a day of great joy and delight in the Archdiocese of Tuam. It gives me great pleasure this day to ordain two young, courageous individuals for service in the priesthood of Jesus Christ in the Archdiocese of Tuam. Two talented young men of great calibre and strength of mind and will – delighted to respond – happy to commit to the call of God at this most challenging of times. Lá thar laethannta é seo don Ard-deoise. Beirt fhear, cróga, stuama, spioradálta – iad sásta breith ar na maidí rámha – réidh le dul i mbunn oibre mar urlabhraí Íosa Críost in Árd-deoise Thuama. God calls us in many different ways to different vocations in life. While the circumstances vary a great deal, nevertheless, each one’s call shares with that of others a dramatic decisiveness, perhaps the element of surprise, which abruptly changes one’s life in many different ways. A clear “yes” is demanded. Both young men before us today have approached that call and have responded from very different backgrounds, Eugene from a rural town in the West of Ireland and Shane from the heart of the USA, Baxter, Minnesota.  Both responding with outstanding generosity to the radical call of Jesus Christ to serve as diocesan priests in a diocese steeped in a wealth of faith and tradition, St. Patrick, St. Jarlath, St. Colmcille, St. MacDara, St. Colman, St. Ciarán, Our Lady of Knock, Ballintubber, Máméan! The Prophet Isaiah in today’s First Reading is summoned by God to a new ministry while at prayer in the Temple; Simon Peter and the others, James and John, receive a call while fishing. Paul received it while fiercely persecuting the early Christians. The message for all of us that we must be ready for God’s call; no moment is too sacred or too secular for God to intervene and summon us to a new way. In calling us to something new God is not suggesting that the previous way of life was unworthy. Look at the various calls, whether it be Isaiah, Peter or Paul, God was calling each one to something new which scared them. They felt very incapable of the new vocation in the way it brought them into the immediate presence of the all holy God. Their vocation called them beyond their realm of ability or desire. Rather than deny their talents and the dignity of their way of life up to this moment, God sanctifies all their talents and enables the disciples to achieve far more than they thought possible. Like Isaiah and his people we find ourselves in a time characterised by change, and, some might argue a vacuum in society. The Church may have lost it strong influence in society and it is unclear what public role it will play in the future. Today, Eugene and Shane are being sent on a way where we have not set the goal ourselves and may not even know where we are going. The appearance of tomorrow’s Church may have little in common with the Church of today. But the true Church of all times lives and acts based on the divine promise. Today’s gospel is appropriate on this Trinity Sunday but also on this special occasion as Eugene and Shane are being ordained and sent out on mission. This is a daunting task. Jesus promises his abiding presence to strengthen them in their mission. The authority which Jesus conferred on the disciples for their mission is one which through ordination is being conferred on Shane and Eugene in the Ordination ceremony today. It is the authority which Jesus enjoyed as the Son of Man who came not be served but to serve and to give his life as a ransom for many. It is an authority, then, designated to liberate rather than to dominate. Beidh Shane agus Eugene ag freastal mar shearbhóntaithe úirísle, mar ghiollaí umhla – mar Shagairt nua oirnithe – agus iad i mbunn seirbhíse ar Dhia, ar Iosa Críost, tríd an Spiorad Naomh ar phobal Dé san Árd-deoise seo. Eugene and Shane, you are called and sent to be a builder of communion between people and a sower of hope. Within your own family you have experienced what the Second Vatican Council described as “a community of life and love”. Here you had a wonderful experience of this self-giving love. Christian families are not only the privileged place for human and Christian formation; they can also be ‘the primary and most excellent seed bed of vocations to a life of consecration to the kingdom of God”. In your priestly ministry you will be mediators of God’s healing grace to the human family. In the Sacrament of baptism you will introduce people to God’s family; in the Sacrament of Reconciliation/Penance you will, through the grace of ordination, forgive sins not yet committed and reassure people of a forgiving and merciful God who comes to meet us in our brokenness and frailty. In the Eucharist you will help build community where the minds and attitudes of Jesus Christ will prevail. You will bring comfort and consolation to the sick and dying helping to rid them of fear and preparing them to meet a welcoming Lord. In the Sacrament of Marriage you will be present to reassure men and women of Christ’s presence and his journeying with them through life. In all of this you will be teaching them, not just by word, but principally by the example of your priestly life, lived generously and faithfully. There is no priest who is not challenged by the goodness and fidelity of the people to whom he ministers. It will be important in your ministry to be open to and appreciative of this goodness. There will be times in your ministry when you will feel discouraged and disillusioned, when despite your best efforts many will reject or refuse to respond to the message you preach. While the experts are predicting a bleak future for the Church and its ministers you are called to be men of irrepressible hope who will help people to read the signs of what is happening in our contemporary culture. It will be your responsibility to support them as they struggle to find meaning in life and to experience God’s presence in the midst of pressure. You will be a bearer of hope for others if you have hope in your own heart, if at all times you are in close relationship with God in prayer. There is no need to be fearful as the risen Lord impressed upon the disciples in today’s gospel: “I am with you always”. In spite of the problems which are highlighted today, this is a great time to be a priest. You will experience wonderful support from people, you have a tremendous privilege, as a member of a team to work with the people, religious and your brother priests in the priesthood here in the Archdiocese of Tuam. I look forward very much to working with you and I pray that the joy of this day will remain with you, your families and friends and all the people you serve. On an occasion such as this it is appropriate to acknowledge and pay tribute to the generosity of our priests. There is something very attractive, inspiring and uplifting when we see priests who are men of prayer, close to the Lord, interested in and committed to their people and appreciative of their struggles and their strengths. Priesthood will always be indispensable for the Church and for society when lived in this way and thank God for our priests. Comhgairdeachas libh beirt ar an lá mór seo. Thar ceann an phobail seo cuireann sé ríméad agus áthas orm fáilte a chur romhaibh mar sagairt nua in Árd-deoise Thuama. Go maire sibh bhur nuacht agus thar rud ar bith eile – go maire sibh an ola! Shane and Eugene – heartiest and sincere congratulations to you both as I welcome you as the newest members of the family of the priesthood of Jesus Christ in the Archdiocese of Tuam. May God bless you both in the important and significant mission that lies ahead of you both.